(TibetanReview.net, Nov24, 2016) – The Dalai Lama, Tibet’s exiled spiritual leader, has said Nov 23 that he had “no worries” about Donald Trump’s election as US president, that he would like to go and see the new president, and that he expected the businessman to align his policies with global realities. Speaking on the last day of his Nov 18-23 visit to Mongolia’s capital Ulaanbaatar, the Dalai Lama, when asked about the US election result, said he had always considered the United States a “leading nation of the free world”, reported Reuters Nov 23. China has not taken kindly to that remark, however. Its Foreign Ministry spokesman Geng Shuang alleged that the Dalai Lama traveled the globe to seek audiences with foreign leaders to try to damage relations between them and China, the report said. 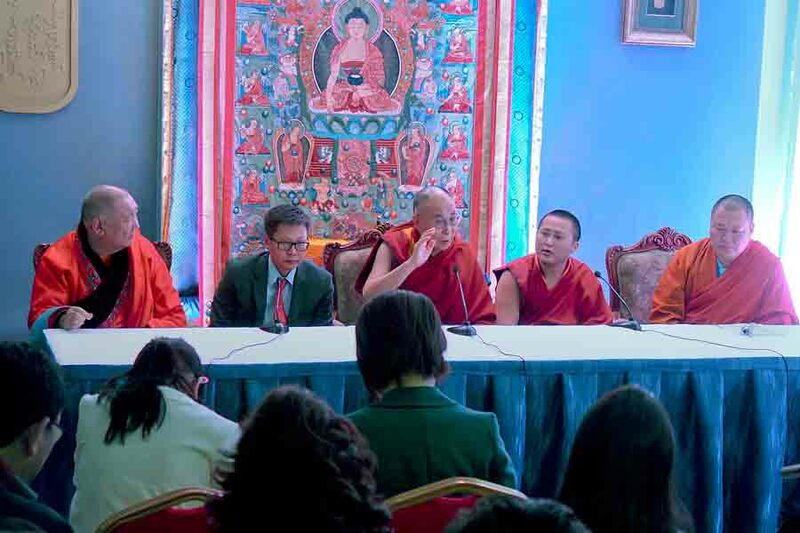 “We hope the international community can further see clearly the anti-China, separatist essence of the Dalai Lama, and appropriately and cautiously handle Tibet-related issues,” Geng was quoted as saying at a daily news briefing in Beijing. The Dalai Lama has based his optimism about Trump on the fact that while during election candidates express themselves with more freedom, they have to work according to reality once they get elected and have the responsibility. The Dalai Lama’s optimism is, however, not shared by major international human rights organizations such as Amnesty International and Human Rights watch as well as activists and others who have raised serious concerns on the basis of his known policy stands and outspoken remarks. Indeed, as a candidate Trump had sidestepped criticizing other countries over human rights, noted voanews.com Nov 11. In July, Trump was asked whether he would press Turkish authorities to uphold the rights of citizens after tens of thousands of people were jailed in the country after a failed coup attempt. Also at that time, when demonstrators gathered in several US cities to protest police shootings of black men, Trump had said the US should focus on addressing its own problems instead of speaking about rights issues abroad, the report noted. “When the world looks at how bad the United States is, and then we go and talk about civil liberties, I don’t think we’re a very good messenger,” he was quoted as having told The New York Times. Still, some Chinese dissidents at home and overseas think the checks and balances of the US political system will help ensure that the new president is more pragmatic about human rights issues, the report added. Outgoing President Barack Obama last met the Dalai Lama at the White House in June this year despite warnings by China that it would damage diplomatic relations. It was Obama’s fourth White House meeting with the Dalai Lama in the past eight years. It is not at all clear yet whether President Trump will welcome him in his White House.